This section is important because online content is cluttered with agenda-driven material to make something or someone appear to have lesser integrity. 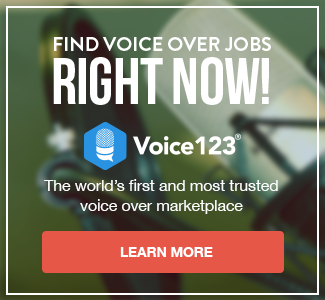 The hurtful result is that voice talent may start their career online weighed down by the baggage of how others failed to work online. It is somewhat unfair to them being told they cannot succeed due to myths set forth by those who have failed to work online. I seem to remember when I started out, that the very same thing happened: People told me I could not do it because I did not know enough. Oh well…the competitive spirit will never change. In 2007, I was tired of making excuses for why I did not work online as much as I had hoped. This job presented itself as a way for me to find answers, and I share them with you because “servitude amongst voice talent in a community” is such a radical idea, I had to try it, and I like it. Copyright © 2019 TheVoiceOverGuide. All rights reserved.